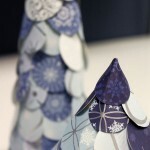 Looking for a simple holiday decoration that can easily change with the seasons? 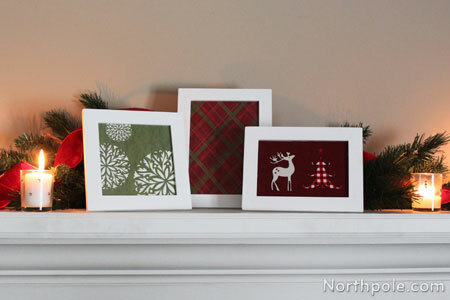 Decorate your mantel, end table, or any other space with these quick and easy frames. 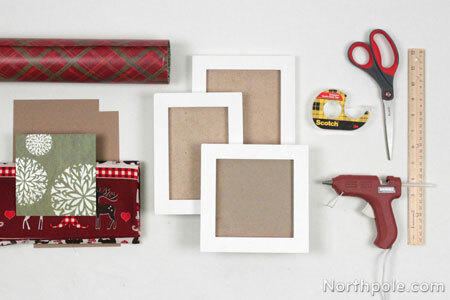 You can use whatever you like to fill the frame—fabric, wrapping paper, scrapbook paper, or even cards! *If your frame does not have a piece of cardboard that fits the frame, you may need to cut your own cardboard (or chipboard). Our frames came with pieces of cardboard that were smaller than the frame, so we had to cut pieces that were large enough to fill the frame. 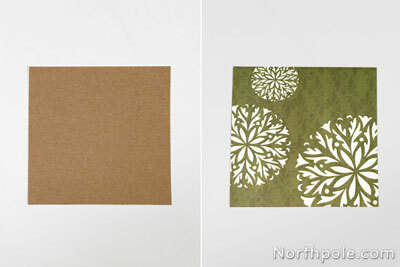 If using paper, cut paper a little larger than the frame (about 0.5–1" on all sides), wrap the cardboard, taping the excess paper to the back of the cardboard. 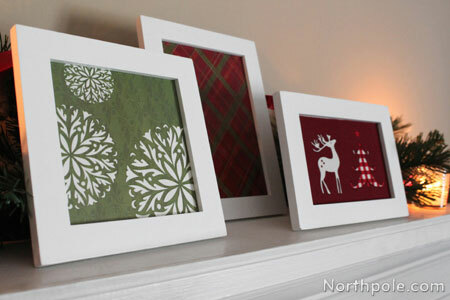 If using cardstock, cut paper to the exact size of the frame. 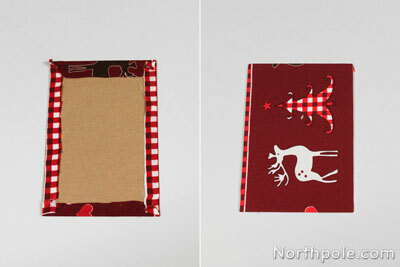 Use double-sided tape to stick it to the cardboard. If using fabric, cut the fabric a little larger than the frame (about 1" on all sides). 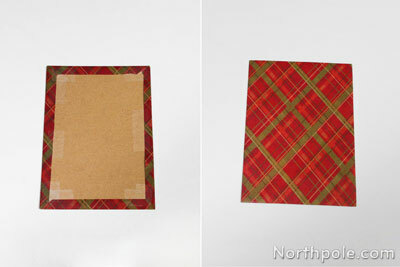 Wrap the excess fabric around the cardboard, then use hot glue to glue the edges to the back of the cardboard. Trim excess fabric as necessary. Place cardboard in frame and add the backing. Place on tabletop or mantel! 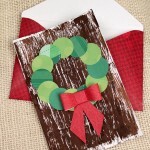 If you plan on reusing the paper long-term, use a spray adhesive to bond the paper to the chipboard. This will prevent the paper from warping and puckering over time. We have used a couple different spray adhesives; 3M Super 77 and Loctite Spray Adhesive both work well.